Bobbleheads Have Been Around Longer Than You Think! neck that makes the head wobble when you touch it has perched atop many a collector's shelf, table, or desk, and been enjoyed by children of all ages since at least the 1950s. The truth is, bobbleheads can be traced back as far as the 1700s in Asia and the 1800s in the West, including in the United States! Over the years, celebrities as varied as sports stars, entertainers, and politicians have been immortalized as these wobbly dolls, not to mention popular fictional characters. You might say being chosen is an honor! 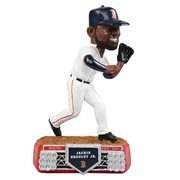 It's been called a nodder and a wobbler, but you may know it as a bobble head or bobblehead. 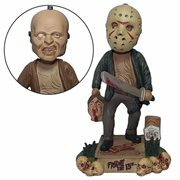 This figure with the oversized noggin and a spring for a neck that makes the head wobble when you touch it has perched atop many a collector's shelf, table, or desk, and been enjoyed by children of all ages since at least the 1950s. The truth is, bobbleheads can be traced back as far as the 1700s in Asia and the 1800s in the West, including in the United States! Over the years, celebrities as varied as sports stars, entertainers, and politicians have been immortalized as these wobbly dolls, not to mention popular fictional characters. You might say being chosen is an honor! Popularity in bobblehead figures and toys has grown over the years. 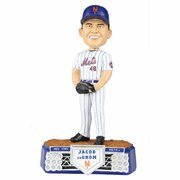 Just about every major sports team in the United States offers bobblehead giveaway nights during the season featuring one or more of their star players. And sizes range. Some cereal companies have offered small bobbleheads in their cereal boxes, while the Guinness Book of World Records reports the largest figure as 15-feet tall! January 7 has been National Bobblehead Day since 2015, and there's even a National Hall of Fame and Museum in Milwaukee, Wisconsin, which holds the largest collection anywhere. Bobble Heads Are Fun Wherever You Put Them! Bobblers do more than spruce up your home, office, or playroom. They can also decorate your car as dashboard bobbleheads. Think how much better your ride to work on a Monday morning would be with a Star Trek character like Captain Kirk, Mr. Spock, Mr. Sulu, or Captain Picard leading the way? Or how about the U.S.S. Enterprise itself on your dashboard as its own wobbly ship? Which Are the Bobbleheads that Get You through Your Day? It's safe to say that bobble heads have long been major players in the world of collectibles, and Entertainment Earth has been and is right in the middle of it. Whether you prefer to buy a few here and there or you're a major collector of figures, they're sure to brighten a dull day or put a smile on your face when you need it most. Has a bad week left you feeling like everyone's a zombie out to get you? Knowing that you've got Rick Grimes, Daryl Dixon, Carol, Glenn, or Michonne from The Walking Dead on your shelf backing you up is sure to ease your tension. Do you need a superhero watching out for the bad guys? Wonder Woman, Spider-Man, Iron Man, and the Ghostbusters are just a few of the bobble heroes ready to save the day. 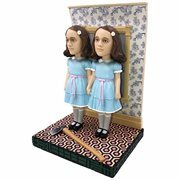 Maybe you're a fan of celebrity bobble heads. Well, whether you're an admirer of football stars like Tom Brady and Rob Grankowski, singers like Elvis Presley, movie personalities like Alfred Hitchcock, or U.S. presidents past and present, there's someone sensational to be added to your roomful of collectibles. Bobbleheads Are Here to Stay! 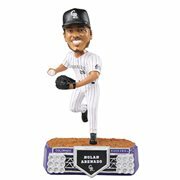 Nothing is more goofy, more silly, and more able to brighten your day than touching the head of a bobble figure and watching it wiggle, or tapping a line of dancing bobbleheads and watching them go. One thing is for sure: Bobble heads are here to stay. If you haven't done so already, join in the fun!